As one of the world's leading capital of fashion, you'd expect Paris to have a fair number of malls. Since most Parisians prefer "la lèche-vitrine"-- window shopping, or, quite literally, "licking the windows", most shopping areas in the city are found outdoors, in much-coveted shopping districts such as the Marais, the Champs-Elysees, or the "haute couture" district on Rue Saint-Honoré. However, three major shopping centers offer an alternative to the boutique-hopping routine, if you'd prefer a "one-stop" destination or want to browse familiar chain outlets such as Zara or H&M. Looming in the smack center of Paris in the area known as "Chatêlet-Les-Halles", this giant, labyrinth-like shopping center first opened in the early 1970's, constructed following the demolition of a traditional central meat and vegetable market which had dominated the city center since the medieval period. The massive underground shopping complex-- you have to go down two long escalators from street level to access it-- isn't always very easy to navigate and is currently undergoing major renovations, making it even trickier to get around at first. Still, it can't be beat where convenience and variety is concerned. If you're shopping for new items on a tight budget, this Parisian mall can be ideal since it includes so many stores in the mid-range, rather than focusing on luxury brands and products. 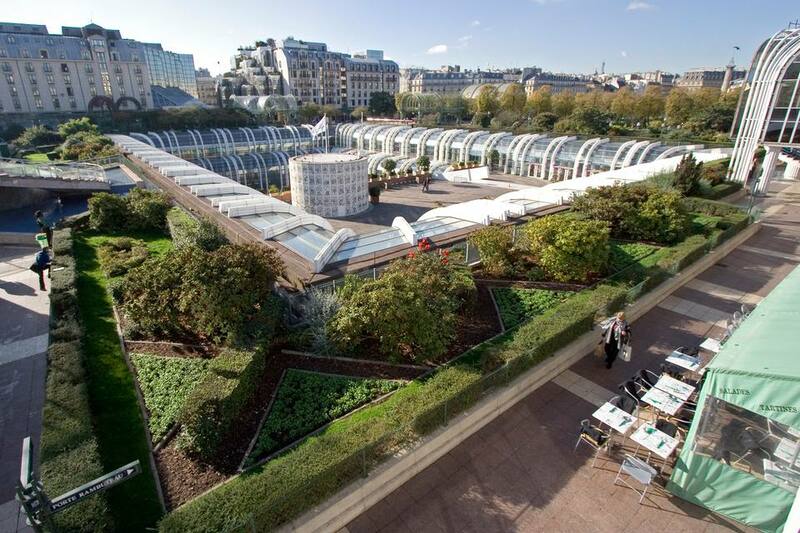 Open seven days a week, and located in the heart of Paris just beneath the Louvre Museum's famed glass pyramid, the Carrousel du Louvre is an ideal shopping center to hit if you're looking for high-quality home goods, electronics, books, entertainment, accessories, and gifts. Many Parisians and visitors flock here for the Apple Store, the city's flagship. There's also a Virgin Megastore, luxury gifts, jewelry, and home items awaiting here. There's also a gourmet food court on the upper level, ideal for grabbing a bite between shopping. Located in the massive business district just west of the city limits known as "La Defense", and boasting views of the imposing Grande Arche de la Defense, the mall known as "Les Quatre Temps" is easily accessible via the RER (suburban train) A line from central Paris. In addition to dozens of stores, the complex counts several mid-range to excellent restaurants in the complex, as well as a megaplex cinema showing plenty of films in English with subtitles.